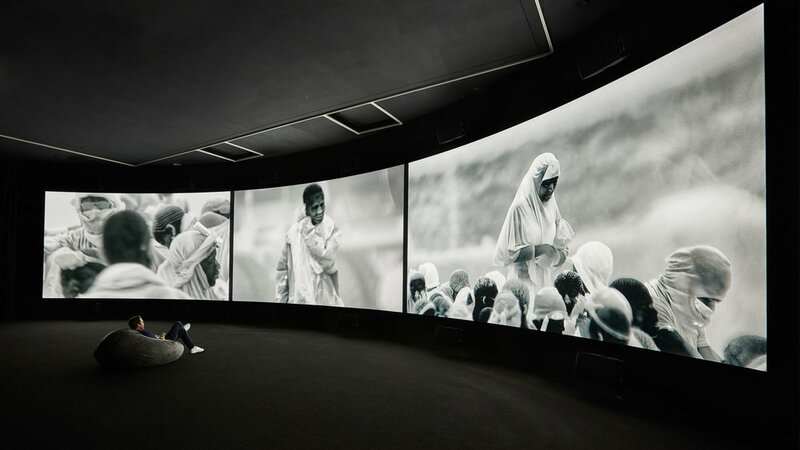 A curved wall in a blackened room focuses attention on the immersive video installation by Richard Mosse. A key work of the NGV Triennial, Incoming, was filmed with a long-range thermal imaging camera developed for military use. Made in collaboration with cinematographer Trevor Tweeten with a soundscape created by Ben Frost. Incoming was co-commisioned by NGV Melbourne and Barbican Art Gallery.